Application guidelines for September 2012 entry. A Scholarship has been established through a donation from former Visiting Professor, Honorary Fellow and Byam Shaw Alumna Mona Hatoum. The scholarship is worth £15,000 and will be a contribution towards tuition fees for a student accepted on the Full-time MA Fine Art course at Central Saint Martins College of Art and Design. 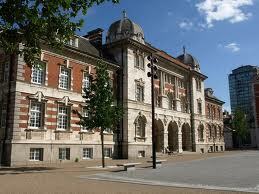 Your application will be initially assessed by University of the Arts London Student Funding Service Team based on the financial information supplied in your application and ranked according to financial need. Further evidence may be requested at a later date. Applicants must enrol on the MA course in the same academic year for which they have applied for funding. If any applicant is unable to do this for any reason, the scholarship will be withdrawn. The award will be divided into two payments of £7,500 to help towards tuition fees for year one & two of studies. The Mona Hatoum Scholarship holder will be expected to attend all timetabled classes and tutorials, excepting periods of absence due to illness. Attendance will be monitored, and any student with an unacceptable attendance record may risk the termination of their Scholarship. Scholarship recipients are expected to attend a small number of College and University events promoting scholarship support to potential donors, and to meet with scholarship supporters at these events, during and wherever convenient after completing their course. The college will terminate the award if a registration lapse on any grounds, other than temporary suspension of study due to extenuating circumstances, which must be drawn to the attention of the relevant course director at the college through formal procedures and upheld by the college’s Extenuating Circumstances Panel. All applicants will be informed of the final decision in writing at the end of July 2012. A letter will be sent to the correspondence address on the application form. You must inform us in writing if your address changes, so that we can contact you at the correct address. The application form for the Mona Hatoum Scholarship is at the end of this document. You may also call the Student Funding Service Team on 020 7514 6146 to receive another copy of these guidelines and application by post. It is anticipated that the number of applications received for this scholarship will far exceed availability, and many applicants will be unsuccessful. It is therefore extremely important that your application form is fully and accurately completed. A portfolio of your work minimum 10 pieces (NB: we can only accept CD ROMs and/or DVDs). All applications must be received by 12pm on Friday 15th June 2012. Please note we are unable to accept applications by email or fax. Applications that arrive late or are incomplete will not be accepted. No amendments can be made to applications once received. Demikianlah informasi mengenai Mona Hatoum Master Scholarship, University of the Arts London, UK semoga berguna bagi anda.